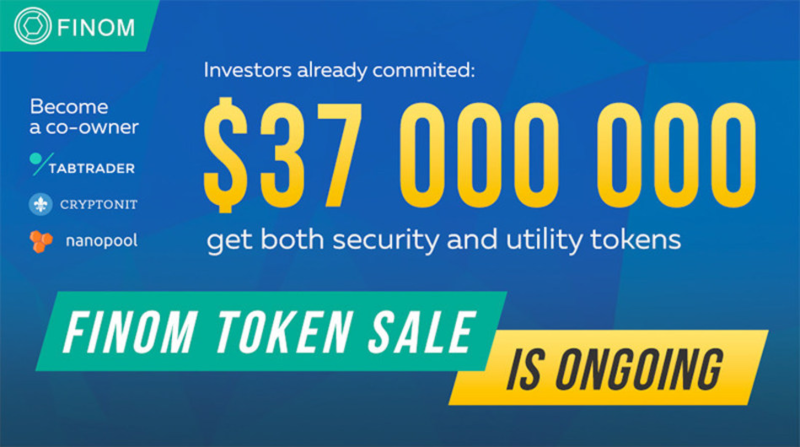 Up to date, financial blockchain corporation Finom AG raised $37 million of $101 declared during tokenized equity offering. The project releases both a security FIN and utility NOM tokens. FIN token is executed pursuant to Regulation D of the U.S. Securities Act of 1933. Its holders will be able to receive dividends and vote as traditional stockholders do. The token sale closes on December 30, 2017.